Hans-Jörg Ruch is a renowned Swiss architect who rose to international acclaim with his firm’s careful and sensitive contemporary restorations of historic houses in the Swiss valley of Engadin, documented in the book Historic Houses in the Engadin: Architectural Interventions. These much-lauded restorations are representative of Ruch’s special focus on the conversion and restoration of historic buildings, which can be seen in a wide variety of architectural applications. 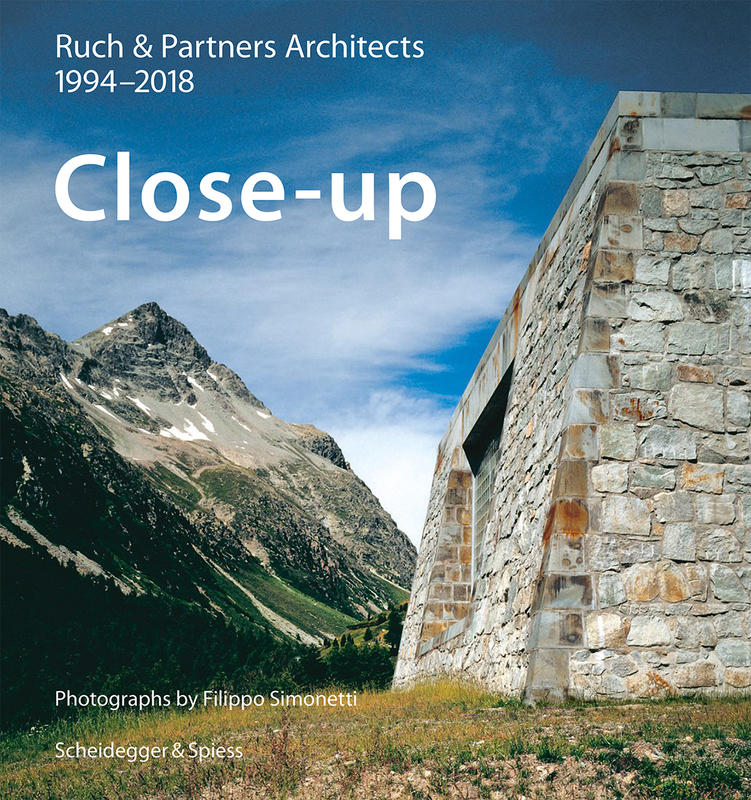 With opulent design and lavishly illustrated, Close-up—Ruch & Partner Architects 1994–2018 documents the full range of achievements by the firm over almost twenty-five years. Their oeuvre comprises private houses and multiunit residential buildings; libraries, museums, and other public buildings; as well as infrastructure designs. Close-up brings together the firm’s key designs, both realized buildings and projects and proposals, including the restored houses in the Engadin. Each project is presented in atmospheric photographs by Filippo Simonetti and concise accompanying texts, as well as selected plans that demonstrate the firm’s approach and concepts. Rounding out the book is an essay that places Ruch’s architecture in the context of his biography and connection to the surrounding Swiss mountain landscape.